Bring an item for a Homeless Youth: socks, undergarments, t-shirts, pajamas, sweatpants or flip flops to help us provide emergency clothing to our youth in need! Run, Walk or Volunteer for our annual Run For Hope 5k! 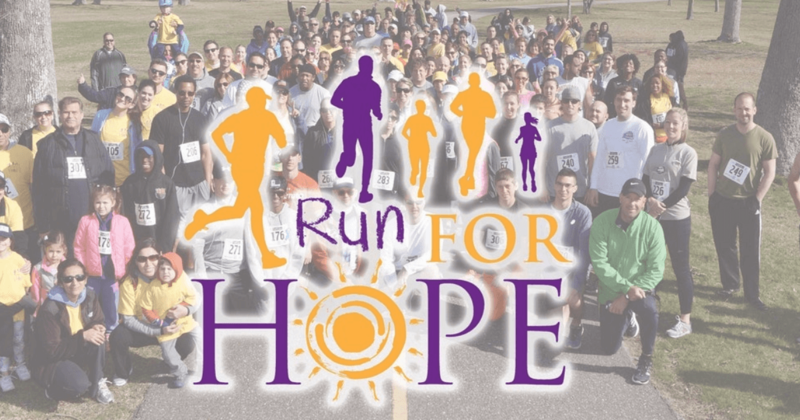 This year's Run For Hope will be benefiting Homeless youth on Long Island. Bring an item for a Homeless Youth: socks, undergarments, t-shirts, pajamas, sweatpants or flip-flops to help us provide emergency clothing to our youth in need! The Hope For Youth Shelter provides a safe, supportive and secure environment for all Suffolk County youth between the ages of 12 and 20 who find themselves in crisis and need a haven. The Runaway and Homeless Shelter is a coed, short term, nine-bed facility. The Shelter provides a safe and therapeutic environment to assess the safety, medical, and treatment needs of the youth. The goal of this program is to plan with the family for reunification when appropriate and/or other more permanent resources that can provide permanent housing to the youth.